….Yes, you heard that right! Succession planning reduces employee attrition risks by developing people, preparing them to manage key positions competently, and helping them grow into better professionals. These days, it has become need of the hour for every organization to actively trail on succession planning path ensuring that their workforce is consistently developing to bridge competency gaps and fill challenging job roles in the organization. Sometimes, rapidly expanding business organizations lose key employees, thereby leaving most competent job positions unoccupied. In such situations, existence of succession planning strategies assure that there are capable, skilled employees ready to fill those new job roles and not let the business affect adversely. How Succession Planning Develops Workforce? Today, business organizations of all sizes need effective succession management to continue business workflows unstoppably. An employer may lose high performing employee(s) at any time, there’s no control over this. Developing existing workforce and preparing them is, nevertheless, a best way to combat such situations. Usually, the small-size companies aren’t likely to have potential successors for key roles, but it is always better to cross-train employees to keep them aware of probable challenging circumstances. Doing this keeps the mission intact whenever an employee leaves! Every organization should accept and implement a formal and committed approach to succession planning. Identifying top performers in each team, enforcing best practices to train them and promoting them to key job positions serve the purpose most effectively. Well-structured succession management helps managers to know about all the key employees in their team, so that these strong employees can be considered when a key role is vacant. 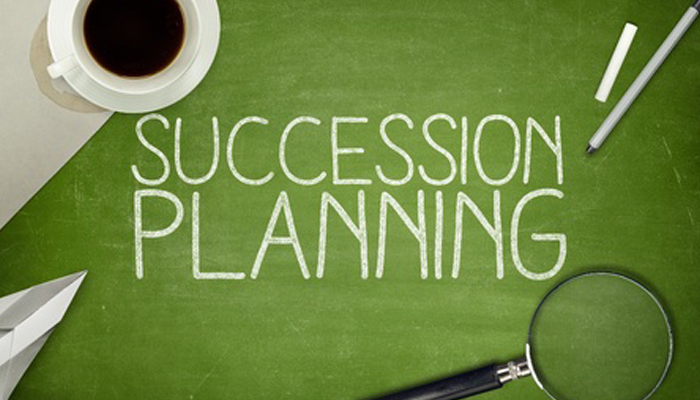 How Succession Planning Benefits Employees & Employers? Improve employee efficiency: Employees leave no stone unturned to give their best performance knowing that there’s a better job role waiting for them. Employees improve their efficiency immeasurably to grab more competent job roles in the organization. Scope of development opportunities: No matter how skilled employees are, they always look forward to receive career development opportunities from employers. Continual training and development keep them enthusiastic and give them a ray of improvement. Develop successor qualities immeasurably: Identify and develop employee skills to keep them ready for upcoming challenging job roles. Right direction to career path: It is necessary to ensure that an employee being prepared as a successor for new job role is really interested in making most of this opportunity. Succession planning gives right direction to employee career while educating him/her for a specific successor role. Encourage employee engagement: For letting most talented professionals occupy key job roles in an organization, it is needed for all managers to keep eyes on high performing employees working in different teams (or departments). This makes easy to share employees’ value with managers across the organization, if an opportunity arises; and even easier to fill the key roles. Knowing the fact that employees are valued keeps the workforce motivated and engaged. Preparedness: Every employer relies on employees to achieve its mission and accomplish pre-defined company goals. Presence of reliable succession planning tools make it possible to identify top talent and develop them. Loss of key employees does not affect the organization unfavorably and business results remain unharmed. Save time, money and efforts: Planning future needs of an organization consumes lot of time and efforts. It is always better to promote, train and replace existing employees than hiring external candidates, cross-examining their skills-set and employing them on key positions. Having a strong succession plan helps to save money spent on recruiting and selection process. Identify weaknesses and eliminate them: Finding future leaders is not an easy task, but it helps in revealing strengths and weaknesses of the workforce. It is important to cover these weaknesses or eliminate them to possess secured business growth. Provide training to improve performance of employees and help them move towards better career opportunities. To successfully empower succession management, it’s important to identify company’s long-term goals and possess reliable succession planning tools. The availability of online succession management tools keep the organizational future plans ready, ensure seamless leadership and build sustainable talent pipelines. That’s all what matters!